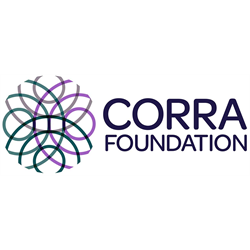 For 30 years, the Corra Foundation has contributed to improving the lives of individuals and communities experiencing disadvantage all across Scotland and in developing countries. Our vision is for a society in which people create positive change and enjoy fulfilling lives. Our mission is to make a difference to people and communities in Scotland, by encouraging positive change, opportunities, fairness and growth of aspirations, which improve quality of life. We are looking for two people to work on the programme as Grant Advisors, providing excellent information and advice to potential applicants in addition to carrying out fair and thorough assessments of funding applications. The successful post holders will have a working knowledge of the voluntary sector and hands-on experience of assessing funding applications. We will expect you to have a commitment to supporting small charities and communities and for you to be open to testing new ways of grant making. We are seeking a committed individual who will work as part of the Core Operations team to support the delivery of the team’s objectives and overall workplan. The jobholder will report to the Head of Core Operations and work closely with colleagues across the organisation. The successful candidate will have excellent organisational skills and attention to detail, good communication skills, highly proficient in the use of Microsoft Word, Outlook, mail merges (Microsoft Office 365), consistently professional and helpful, and excellent teamworking skills.